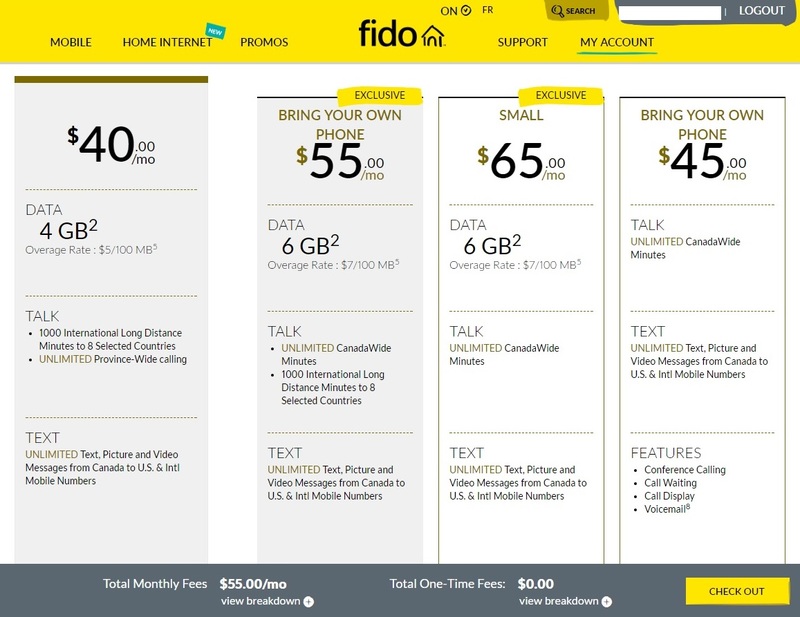 Fido Pulse™ plans now get you five extra hours of data! Big announcement today. Fido is now offering five extra hours of data to all Fido Pulse plan customers! With Data BytesTM, you get 5 extra hours of data; one hour, five times a month! All you need with your Fido Pulse plan is a compatible iOS or Android device (iOS 8.2 and later or Android 4.2 and later) and the new Fido My Account app. Now you can enjoy the freedom of downloading that new album or streaming your favourite show without worrying about Wi-Fi. How cool is that? It’s super easy and Data Bytes can be accessed right at your fingertips through the Fido My Account app! You are in complete control of when and how you want to use Data Bytes. With a simple shake of your phone in the Fido My Account app, you can activate your Data Bytes session. Being with Fido helps you move forward and connects you to ideas and experiences that allow you to GO GET IT! Don’t forget though, Data Bytes is only available to Fido Pulse plan customers using the newly updated My Account app on a compatible iOS or Android device (iOS 8.2 and later or Android 4.2 and later). If you’re not sure what plan you’re on, simply text Pulse to 222. If you’re looking to change your plan to take advantage of this amazing feature, here’s how. Having issues using Data Bytes? Check out this How-to guide. That is an amazing addition to our data service. Thank you! I personally think this feature is not at all practical. The new fido pulse plans has caused me a lot of problems when speaking with customer service regarding a switch to a new plan as a loyal customer. Very frustrating because I want data... NOT data for 1 HOUR 5x a month... Strangest feature I have ever heard of. Thanks for sharing your thoughts. One great thing about this feature is that it's structured around time and not the amount of data. So during that one hour, 5 times per week you can watch videos, stream music etc without using up the data included in your plan and without using Wi-Fi. For example, you can watch your favorite show while on the train. It gives you the flexibility to enjoy life’s moments with access to extra data on your own terms. Of course, we're also here to help you find the best plan that meets your needs. Don't hesitate to contact us or let me know if you'd like me to send you a PM. This is such an amazing offer too bad fido is selective on targetting of plans. For example for the identical plan my neighbor at work was offered $55 while I was $65, the discrepency is insanity. Fido get your act together. link the plan in question, I'm getting the identical plan offered @ $65. Hi @5abii & welcome to the Community! The price of a plan varies based on the category your in. As you can see, the $55 pricing is BYOP, meaning that it's not available with an agreement, whereas the $65 plan is in the Small category, meaning that you can get a subsidy on a phone when you take an agreement. You can always take a BYOP plan; you'll simply need to pay the remaining balance on your phone if you have an agreement. Hey, I got that totally clear! However, that snag is not from my account but from a friends, my point is i'm offered the same BYOP plan for $65 whereas she's getting it for $55, how is that right? Fido values customers differently, very awkward right now. We have different plans available for different types of accounts. Some offers are "targetted' to specific accounts, depending on the account history, phone usage, exceptions made in the past, etc. That's why one account may be eligible for a specific offer, while another account is limited to another. I'll send you a PM through here so we can take a closer look at everything! Naw thats cool, just want to make that its transparrent that Fido offers the same plan to two different customers at two different prices! As Catherine mentionned, we do have some offers that are targeted to specific accounts. That being said though, we're still more than happy to check out your account if you'd like to go over your options. Let me know if you change your mind. I am eligible to use data bytes and have confirmed that it shows up on my account on Fido's system. For some reason I do not see the banner with the activation option for the five data byte sessions. I purchased a new phone last December. It is a ZTE Axon A1R. Does anyone know if this phone is able to access data byte sessions. Its android version is 6.0.1. As long as your device is running Android 4.2 or higher, which it is, and have a Pulse plan, you should have no difficulty using Data Bytes. Could you confirm whether or not you have the latest version of the app? What is the app version number you see installed on your device? Thanks for your response. Just to let you know that I have been working on this for some time. I phoned in some time ago and a case was started to try and help me. The case number is 134853511. With respect to your question on the app version. It is version 3.2.6.6(1209) @ 1996-2018 Fido Solutions. My wife also has a phone on this account and also has a pulse plan. She can see the data bytes banner for her number on her phone. She is using a samsung phone. When you're accessing the app are you logged in or are you accessing it just to view usage? I am logged into my account and on my telephone number. (There are three telephones on this account. Two are on the pulse plan). When I am on the usage tab I see the banner for the FIDO XTRA but no banner for the data bytes. When my wife looks at her number on her phone she sees both the fido xtra and the data bytes banner. Alright, seems like you've tested everything! We'll take over from here! I'm sending you a PM so we can check things out together See you there! You need to be a member to add a comment. Click here to sign in or register.